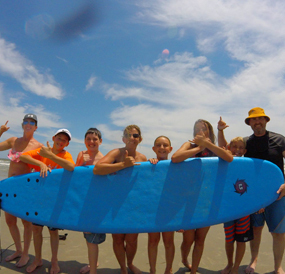 For the past few years, we’ve been ranked #1 for Surf Lessons as well as #1 in Paddle Board Tours in Charleston, SC. We were voted #1 Watersports Company in the state by Luxury Travel Guide. 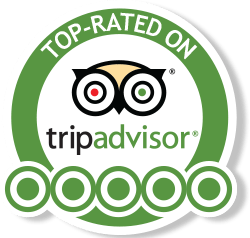 Our mission is to make your stay in Charleston memorable on the water! 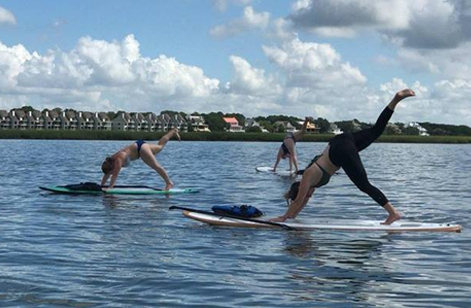 Choose from Paddle Board Tours, SUP Yoga, Kayaking, and Surf Lessons in Charleston’s Best Locations! 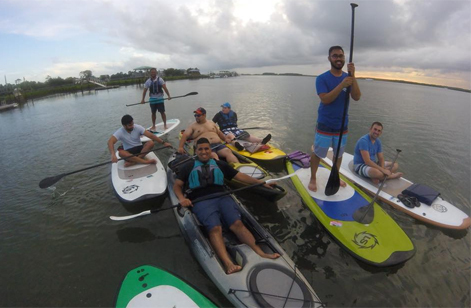 Charleston’s most diverse watersports company with the most launch sites including Folly Beach, Shem Creek, Kiawah/Seabrook, Charleston Harbor and Morris Island. 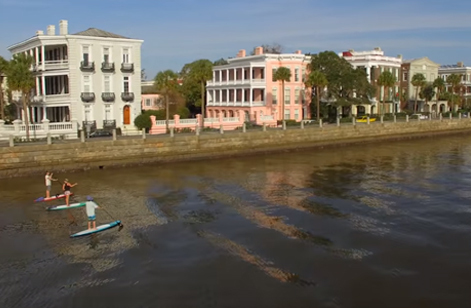 Charleston Paddle Co. is now offering kayak tours in Charleston, SC. Single and double kayak kayaks available for 2 hour tours. Experienced and want to do your own thing? No problem. 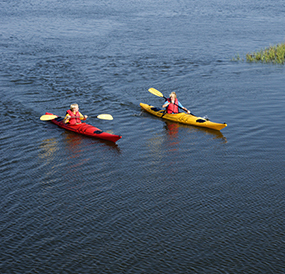 We have kayak rentals and will deliver to your Charleston vacation rental, so you have your own kayaks ready to go. Kayaking is one of the top things to do in Charleston, so add it to your bucket list while you are exploring the #1 City in the World (Conde Nast Traveler). The Best Group Paddle Board Experience with my Bridal Party! My husband and I really enjoyed our time paddleboarding at Folly River! It was our first time paddleboarding and Kyle did a great job teaching us and giving us pointers on how to make the most of our experience. We paddleboarded for about 2 hours. He even took pictures during our trip! We were a little disappointed though because he did not post the pictures on the website right away like he said he would. Highly recommend Charleston Paddleboard Company for an awesome and adventurous time! ***ALL PADDLE & KAYAK TOURS ARE AVAILABLE AS PRIVATE TOURS FOR AN ADDITIONAL $15 PER PERSON. SURF LESSONS CAN BE FOR GROUPS OR PRIVATE LESSONS. $60/pp on most tours for guaranteed private tours. Private tours allow groups to enjoy a private experience with friends and family. When booking semi-private tours you may or may not have another group join yours depending on bookings. 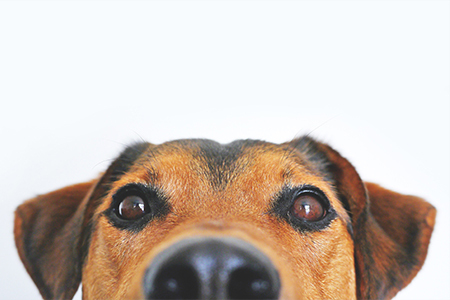 Are pets & children welcome? Pets are welcome on paddle board tours. Children of all ages can enjoy paddleboarding as well. 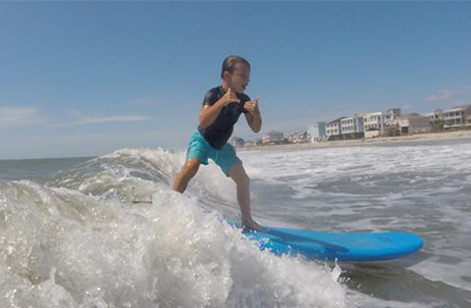 For surf lessons, we love teaching kids. We even have summer surf camps every summer! What if I get tired? What is involved on tours? Our experienced paddle and kayak tour guides provide historical and informative facts about the area you are touring. You can learn about the rich and varied history of the area, all while experiencing Charleston from a completely new vantage point. What type of tours do you offer? You can select from our Wildlife Tour, Charleston Harbor Tour, Full moon, Sunset, or Morris Island Lighthouse Tour. 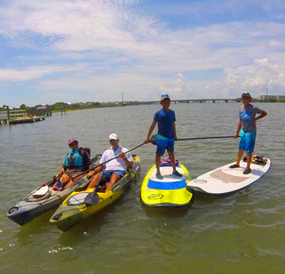 Contact us to book tours, lessons, or for paddleboard sales and rentals by calling us at (843) 452-4833 today. Do we get photos of our tour? We also include FREE photos of every surf lesson, paddle and kayak tour shot with our GoPro cameras. Please allow us a few weeks for getting photos back to you! Private paddle boarding, Yoga and surf lessons available upon request. Contact us to learn more. What about food and water? Each individual group is responsible for food, water or any other beverages they may want or need. Do you offer surfboards and paddle boards for purchase or only rentals? 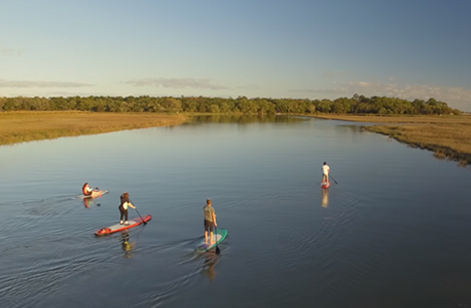 We offer paddleboards for sale as well as paddle board rentals for use during our tours or for exploring the water on your own. We also include free delivery with all paddleboard and surfboard rentals! Our stand up paddle boarding equipment is state of the art and is available from the best quality brands. We provide paddles and jackets with each rental for your convenience. Sand to Shelter™, a selfless non-profit that donates any unused groceries from vacation rental homes to homeless and veterans, founded by Carolina Salt Surf Lessons owner, Kyle Busey. We also proudly donate to Kill shelters and special needs children. Check out Kiawah for your accommodations. Check out Vacasa for your accommodations. Kiawah or Seabrook? Check out Pam Harrington for your accommodations. Staying on IOP? Check out Isle of Palms for your accommodations. Staying on Folly? Check out Avocet Properties for your accommodations. 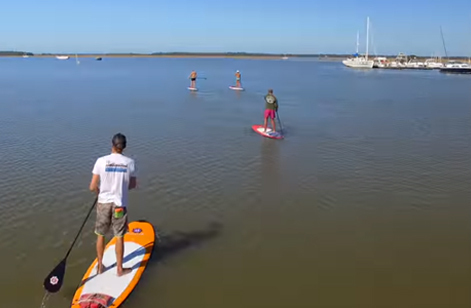 Charleston Paddleboard Company | Stand-Up Paddleboarding Company, Proudly powered by WordPress.